Have you ever thought about owning a goose as a pet? I never knew what a great pet they could be until I met The Big Goose. About ten years ago, just outside our little house, which is now the old time country store (You can read about it here. ), there lived a goose. She was fondly named, “The Big Goose”. The Big Goose would lay her eggs beside the front door. She would sit on that nest and every time someone came in or out of the house she would squawk to protect her nest. Not only was she a great mother, she was an even better watch goose. There was no need to worry about an intruder being undetected day or night. The Big Goose was on alert. Not only are Geese great pets because they serve as a watch goose, geese also make great pets because if they have the proper care, they live for a long time. The Big Goose was a pet around Duncan’s Poultry for over 20 years! If you get your gosling when it is young, it can imprint with you. Basically this means that the goose will bond with you. It will follow you wherever you go, sit by you, etc. The imprinting doesn’t happen when the geese are bigger or if you have a flock of geese. 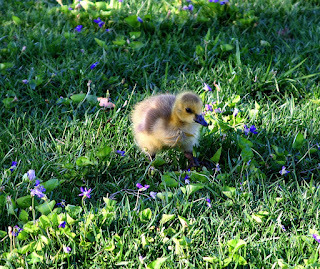 If you have a flock the gosling will imprint with its family. Another interesting aspect of owning a pet goose is that you can dress it up. Although The Big Goose never had the option of a fancy wardrobe, there are now options to dress up your pet goose if you choose to. If you don’t believe me, do a google search for “geese wearing clothes”. When I searched I even saw a goose wearing a pair of shoes! 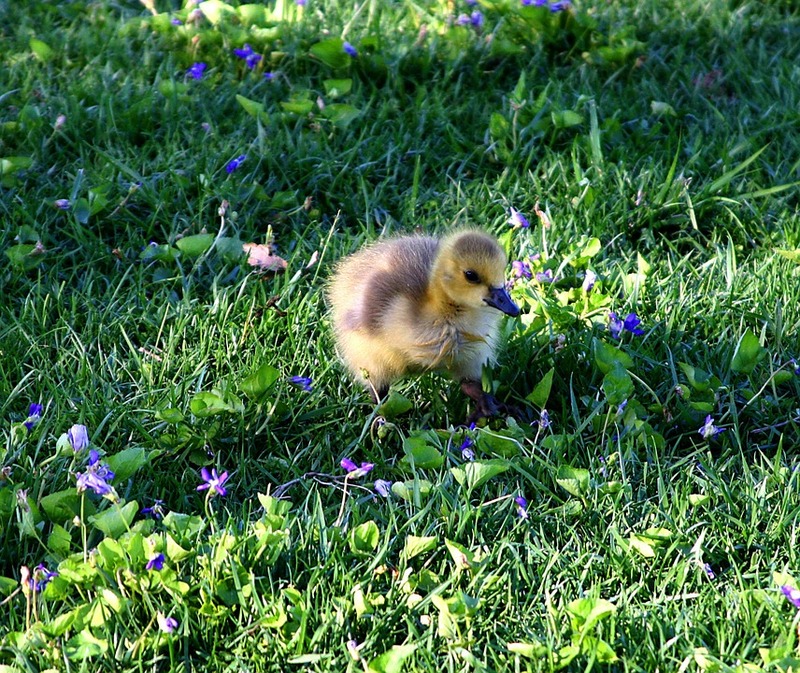 One last reason owning a goose is great is because geese also help with lawn management by eating the grass and weeds. Geese are vegetarians so you will not see them eating bugs in your yard but they are great at trimming the grass. Some farms even use flocks of geese as weeders. (It sure beats crawling on your hands and knees for hours and hours of hoeing!) I do have to add a word of caution if you have a garden that is not fenced. Since geese are vegetarians, if your garden is not fenced they may graze on seedlings just coming up. I would be remiss if I didn't mention that sometimes people are afraid of geese because of their loud honking and hissing. Also, geese are sometimes very intimidating to children because young children and a full grown goose are the same size. I know that a goose isn’t an ideal pet for everyone. And I certainly don’t think that man is ready to give up his best friend, the dog, for a goose, but maybe it will give you something to think about. Geese really can make great pets! As always, if you would like to learn more about geese or other poultry please visit our website here.